Continuing with the installments to the “Anarchist Current,” the Afterword to Volume Three of Anarchism: A Documentary History of Libertarian Ideas, in this section I describe how, in the 1880s and 1890s, anarchists renewed their involvement in working class struggles in Europe and the Americas, leading to the emergence of anarcho-syndicalism. The Haymarket Martyrs were part of the so-called “Black International,” the International Working People’s Association. 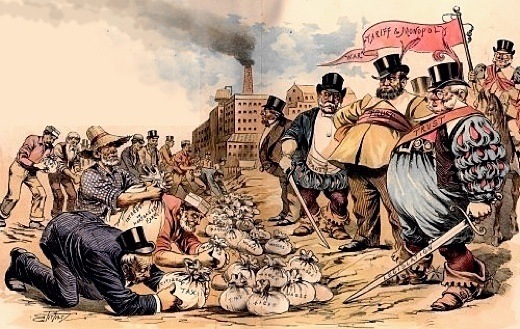 The IWPA drew its inspiration from the anti-authoritarian International, and adopted a social revolutionary anarchist program at its founding Congress in Pittsburgh in 1883, openly advocating armed insurrection and the revolutionary expropriation of the capitalists by the workers themselves (Volume One, Selection 55). 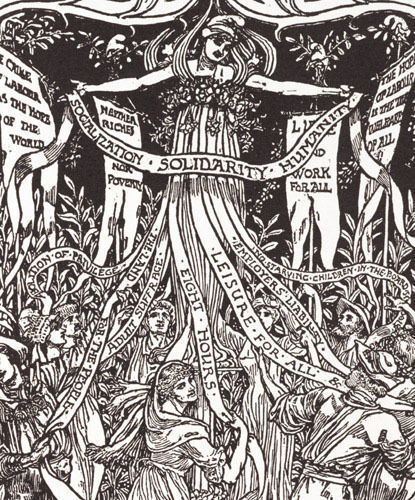 Following the example of the anti-authoritarian International of the 1870s, the IWPA sought to create revolutionary trade unions that would press for the immediate demands of the workers, for example the 8 hour day, while preparing for the social revolution. Around the same time, similar ideas were being propounded by the Workers’ Federation of the Spanish Region (Volume One, Selection 36), and by anarchists involved in working class movements in Latin America. But by 1894 in Europe, when Malatesta again urged anarchists to go to the people, many agreed with him that after “twenty years of propaganda and struggle… we are today nearly strangers to the great popular commotions which agitate Europe and America” (Volume One, Selection 53). One of those anarchists was Fernand Pelloutier (1867-1901). Sensing growing disillusionment among the workers with the electoral tactics of the socialist parties, some anarchists had again become involved in the trade union movement. Pelloutier argued that through participation in the trade unions, anarchists “taught the masses the true meaning of anarchism, a doctrine” which can readily “manage without the individual dynamiter” (Volume One, Selection 56). It was from this renewed involvement in the workers’ struggles that anarcho-syndicalism was born (Volume One, Chapter 12). Pelloutier argued, as Bakunin had before him (Volume One, Selection 25), that revolutionary trade union organizations, unlike the state, are based on voluntary membership and therefore operate largely on the basis of free agreement. Any trade union “officials” are subject to “permanent revocability,” and play a coordinating rather than a “directorial” role. Through their own autonomous organizations, the workers will come “to understand that they should regulate their affairs for themselves,” and will be able to prevent the reconstitution of state power after the revolution by taking control of “the instruments of production,” seeing “to the operation of the economy through the free grouping,” rendering “any political institution superfluous,” with the workers having already become accustomed “to shrug off tutelage” through their participation in the revolutionary trade union, or “syndicalist,” movement (Volume One, Selection 56). Also noteworthy in Pelloutier’s call for renewed anarchist involvement in the workers’ movement was his endorsement of anarchist communism as the ultimate goal of the revolutionary syndicalist movement. 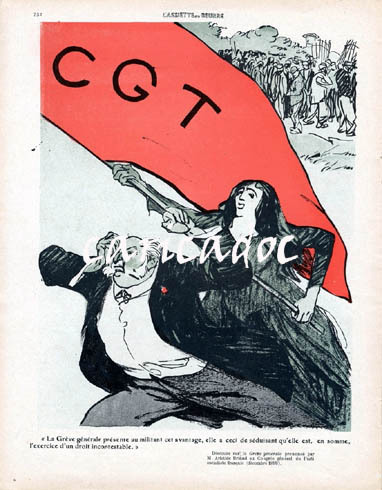 However, in France, after Pelloutier’s death, the revolutionary syndicalist organization, the Confédération Générale du Travail (CGT), adopted a policy of nonaffiliation with any party or doctrine, including anarchism. CGT militants, such as Pierre Monatte, claimed that within the CGT all doctrines enjoyed “equal tolerance” (Volume One, Selection 60). 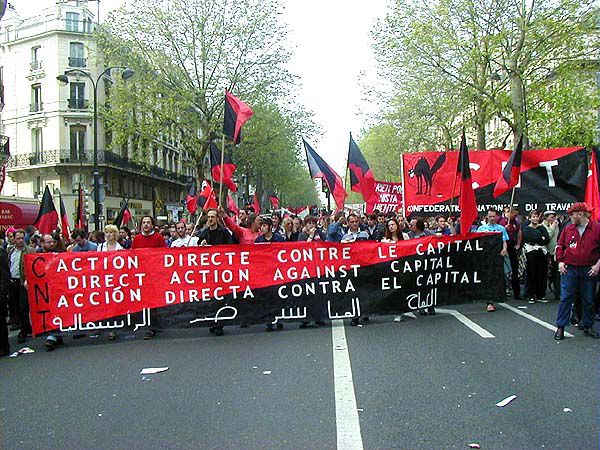 The CGT focused on the means of revolutionary action, such as direct action and the general strike, instead of arguing over ideology. This was in contrast to anarcho-syndicalist union federations, such as the Workers’ Federations of the Argentine Region (FORA) and the Uruguayan Region (FORU), which, as with Pelloutier, recommended “the widest possible study of the economic-philosophical principles of anarchist communism” (Volume One, Selection 58). The anarcho-syndicalists sought to organize the workers into revolutionary trade unions through which they would abolish the state and capitalism by means of general strikes, factory occupations, expropriation and insurrection. 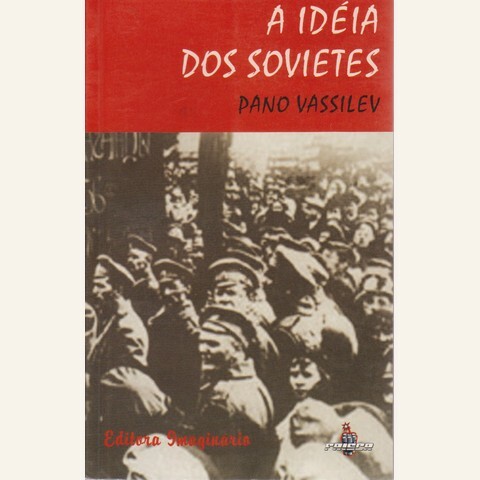 For the most part, their ultimate goal was anarchist communism, the abolition of wage labour, private property and the state, and the creation of free federations of worker, consumer and communal associations, whether in Latin America (Volume One, Selection 95), Russia (Volume One, Selection 84), Japan (Volume One, Selection 107), Spain (Volume One, Selection 124), or elsewhere. Anarcho-syndicalists were behind the reconstitution of the International Workers’ Association (IWA/AIT) in 1922, with a membership of about two million workers from 15 countries in Europe and Latin America. 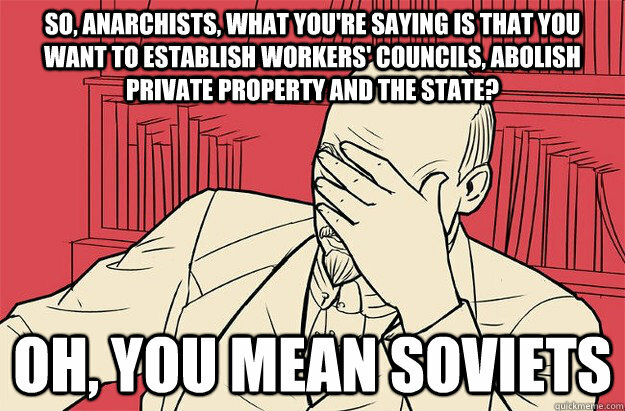 At their founding Congress, they explicitly endorsed “libertarian communism” as their goal and rejected any “form of statism, even the so-called ‘Dictatorship of the Proletariat’,” because dictatorship “will always be the creator of new monopolies and new privileges” (Volume One, Selection 114). Anarchists who sought to work within revolutionary working class organizations or popular movements adopted different approaches regarding the proper relationship between their anarchist ideals and these broader based social movements. Some, such as Amadée Dunois (1878-1945), argued that anarchists needed their own organizations to coordinate their activities, to support their work within the trade unions and to spread their ideas, infusing the workers’ organizations “with the anarchist spirit” (Dunois, 1907). This model of dual organization was similar to what Bakunin had advocated during the First International, when he urged his comrades in his revolutionary brotherhood, the Alliance of Social Revolutionaries, which adhered to Bakunin’s anarchist program, to join the International in order to steer it in an anarchist direction. Antonio Pellicer Paraire (1851-1916), a veteran of the anarchist Workers’ Federation of the Spanish Region (Volume One, Selection 36), acknowledged in an article from 1900 that, given the existing state of the workers’ movement, “parallel or dual organization has to be accepted,” with the anarchists maintaining their own revolutionary groups, but he argued that the primary focus must be on creating libertarian workers’ federations in which each worker is an equal and active participant, so as to prevent the development of a trade union bureaucracy and a de facto executive assuming control of the organization. 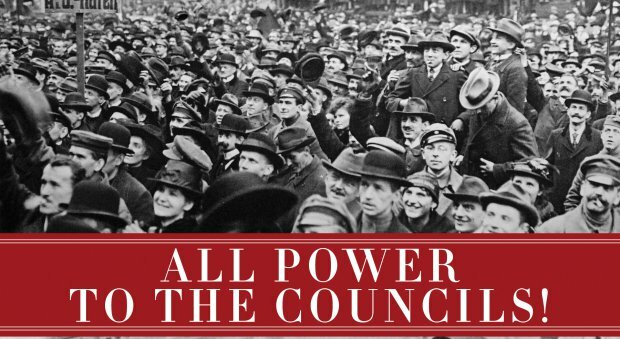 Each organization must in turn retain “their autonomy and independence, free of meddling by other groups and with no one having methods, systems, theories, schools of thought, beliefs, or any faith shoved down his throat” (Volume One, Selection 57). Only through the self-activity of the masses can an anarchist society hope to be achieved.